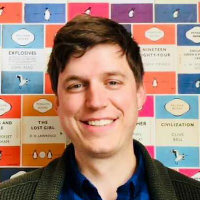 Daniel Fisher is a PhD student in Management and a member of The Centre for Responsible Enterprise, ETHOS. Daniel’s research focuses on issues of legitimacy, stakeholder theory, and the Corporate Social Responsibility (CSR) of public function firms. Daniel completed his undergraduate studies in Philosophy at the University of Wisconsin Milwaukee before moving to the UK to study for his MA in International Relations from Middlesex University. Between obtaining his BA and MA, Daniel taught critical thinking and problem solving at High Tech Institute in Milwaukee, Wisconsin. From 2009 to 2015 Daniel worked at the London School of Economics and Political Science as a Research Awards Manager, supporting academic staff with their research projects. In 2015, Daniel joined Cass Business School as a Research Support Manager, advising academic staff in procuring external research funding. Daniel has a passion for impactful research, inspiring his entry into academia.